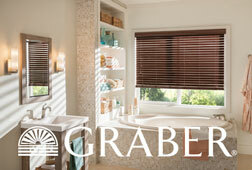 Graber Lake Forest Corded Faux Wood Blinds in the 2" slat size are an affordable choice in faux wood blinds. 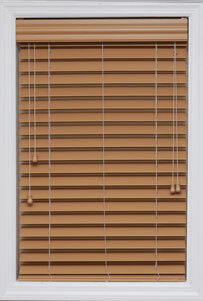 With several attractive colors such as almond and cherry, you can order the perfect Graber corded blinds for your windows. 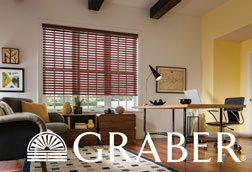 Graber Blinds is known for setting industry standards for their stylish elegance and universal appeal. With the added benefit of being environmentally friendly, Graber Corded Faux Wood Blinds are an incredible value when you buy through Blinds Online. Looking for an additional hint of color? 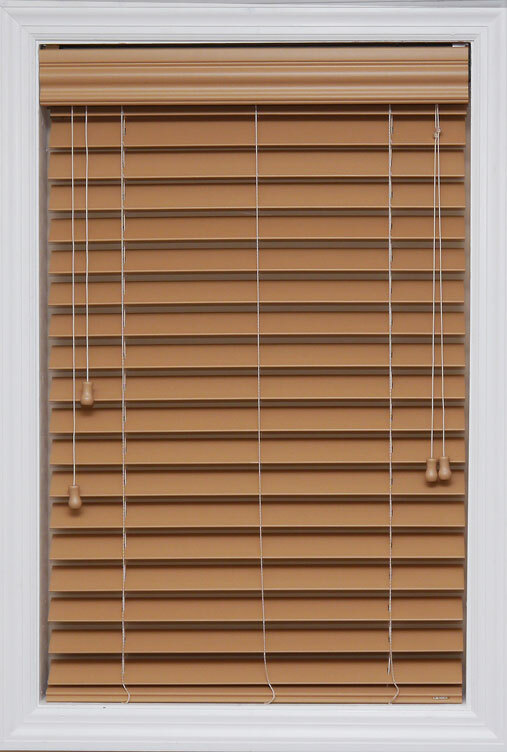 Our Graber corded faux wood blinds come with an option to add fabric tape vertically across the blinds to add an extra accent to your window treatment. 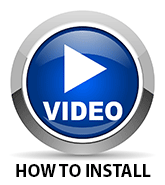 Why Buy Corded Graber Lake Forest Faux Wood Blinds? When you buy blinds from BlindsOnline.com, it comes with the peace of mind of our lifetime limited warranty. 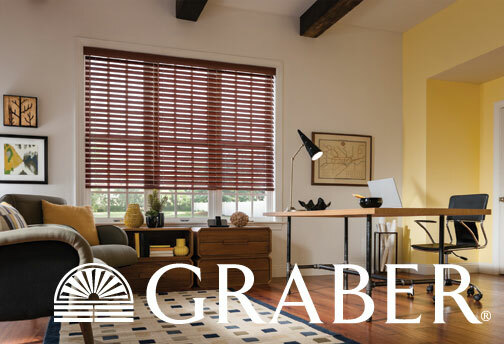 With Graber's line of Faux Wood Blinds, we have found it to be exceedly rare for any of our happy customers to use this warranty. However, We extend this warranty to you to ensure that you are able to buy with confidence. Our customer service and expertise simply cannot be beaten by big box stores! Graber is known for their environmentally friendly manufacturing processes which helps reduce the stress on the environment that traditional manufacturing creates. 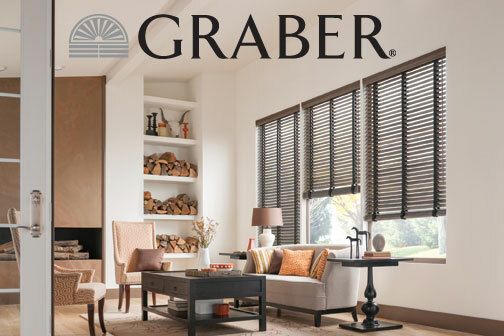 By following firm design principles which use at least 44% recycled materials, water conservation practices, and responsible sourcing of their materials you can rest assured that by buying Graber blinds that you're making an environmentally responsible decision. 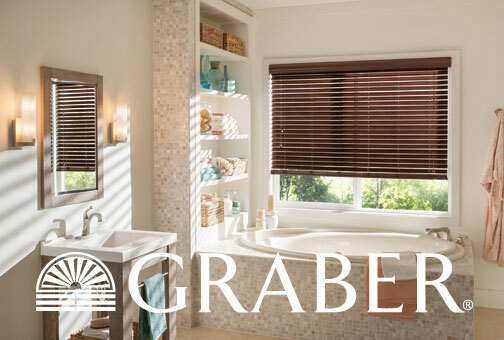 Graber Faux Wood Blinds have all of the style of real wood blinds, but offer improved protection from humidity that can warp normal wood blinds in areas like kitchens and bathrooms. Additionally, the UV protection offered by the pvc material means that your blinds won't fade over time like traditional wood blinds are prone to after years of blocking the sun's rays. 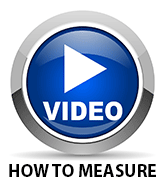 "Well constructed, directions easy to follow and average delivery time. Put up two to see quality and will be ordered for the r"
"Love Graber faux woods for my kitchen and bathroom. I plan to order more."